Katie Fforde lives in Gloucestershire, England, with her husband and some of her three children. Recently her old hobbies of ironing and housework have given way to singing, flamenco dancing and husky racing. She claims this keeps her fit. 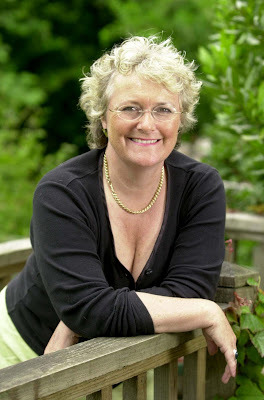 She is the author of fourteen previous bestsellers. Katie's books have been translated into Czech, Danish, Dutch, Estonian, French, German, Italian, Norwegian, Polish and Swedish at the latest count. Fforde sounds the same as Ford. It's just a fancy way of spelling it. Your Twitter bio states you are a Romantic novelist and bad Flamenco dancer. Which came first? I was a romantic novelist long, long before I was a flamenco dancer which is only quite recent. Sad really, if I'd discovered it earlier I'd be a much better flamenco dancer! I believe you are shortly to be the next Chair of the ‘Romantic Novelists'? What is that organization about? The Romantic Novelists' Association is a professional organisation for writers of books which are mainly read by women. We support each other, have a scheme for helping unpublished writers and have really good parties and conferences. Alcohol is sometimes involved. What’s the current status of the Katie Fforde Bursary, and the RNA New Writers’ scheme? The Katie Fforde Bursary is entirely in my gift. It's for the aspiring writer who has been bubbling under for a while but who hasn't quite made it to publication yet. You win a year's subscription as a new writer (which includes a reading fee) and a place at the conference. The New Writers' scheme is run by the organisation. Members of the scheme submit a novel or part novel which is then sent to a published author for a criticism. It is very good value as if you went to a book doctor, you would pay up to three times the amount you pay through the RNA. The readers are paid but it probably works out at about 50 pence an hour. They do it for the good of the organisation. They are stars! 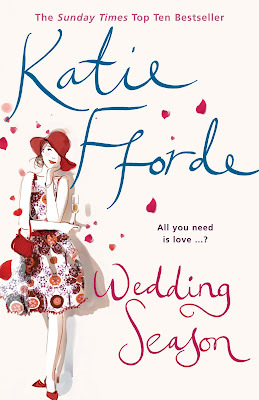 In Wedding Season (paperback March 2009), your character Sarah Stratford “is a wedding planner hiding a rather inconvenient truth - she doesn't believe in love.” As a romantic novelist, do you? What do you think fits into the “Romance” genre vs Chick-Lit? It's very difficult to categorise 'romance' and 'chick-lit.' Romance usually means a shorter novel, often published by Harlequin Mills and Boon or Little Black Dress. Chick lit is published by almost anyone, including HMB. I think of chick-lit as usually having an urban setting rather than a rural one, but I think that's just my take on it. Would you recommend getting an agent to other aspiring authors and why? Getting an agent is almost as hard as getting a publisher (unless you join the RNA and get to meet them at our parties) but once you've got one, it's wonderful having someone who'll find a publisher, negotiate more money, read the small print in your contract and generally bat for you. They'll often handle your foreign rights, too. I’ve read that you started trying to write for Mills and Boon. How did that start you out on your writing career? Trying to write for Mills and Boon taught me so much about writing. You have to keep the pages turning and not let yourself run down blind alleys. I still irks me that I never managed to bring it off. It's hard to say how long it took me to write and sell my first novel. I met my agent and then started writing, sending bits to her as I wrote them. I know she had found a publisher before I'd finished the book but I can't remember how long it was. It didn't seem awfully long, I know that. Did you use and benefit from any writing or editing services for new authors? Can't remember exactly what I did with my first royalty cheque although I did buy my husband a special chair. I don't know if I used my advance or the royalties. Titles are always a problem for me. My publishers and my agents help out. There are times when I think we won't actually end up with a title but my publishers promise me this never happens. Your books have wonderful stylistic watercolour drawings on the covers. Do you like them and get involved in any way in the designs? I love my new covers. I think they're fresh and funny and romantic. I don't get involved in the designs but I am asked for my approval and I sometimes make small suggestions, like a dogs ears, or something. I believe your next book will be published this week, June 4th 2009 - Love Letters - Can you tell us something about writing this novel? Love Letters was in some ways easy to write because I didn't need to do too much research. It's about a girl setting up a literary festival and as I've been to lots, I knew where I was there. It is also partly set in Ireland and I spent my honeymoon there, so it was easy to feel romantic about it. “With the bookshop where she works about to close, Laura Horsley, in a moment of uncharacteristic recklessness, finds herself agreeing to help organize a literary festival deep in the heart of the English countryside.” Do you have your own moments of uncharacteristic recklessness? I certainly have moments of recklessness. I buy clothes on impulse and sometimes find myself having my make up put on in department stores which is always quite embarrassing. In part two Katie talks about meeting expectations writing successive books, her research and why she loves Twitter. OMG! Love Letters is one of the best reads ever! Her wording and desires they come across as reality... 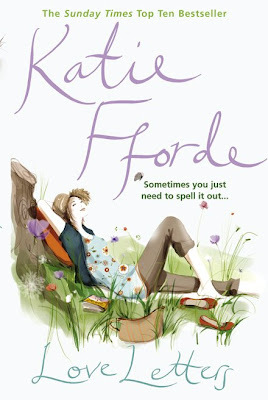 When you read Katie's book Love Letters you just don't want to put it down its like its your own secret world. The usage of wit and flirtatious advance are enthrauling. To me I found it a romantic comedy but yet investigative. I just wish there were a series to Love Letters because I would request everyone of them and spend hours maybe even months just reading about the envious and adequintly blind moments between Dermot and Laura. I would consider this book especially the author to anyone who loves romance comedy and has a full on humorus and curious personality. WARNING: not for the faint hearted. A standing ovation for you, Katie dear.